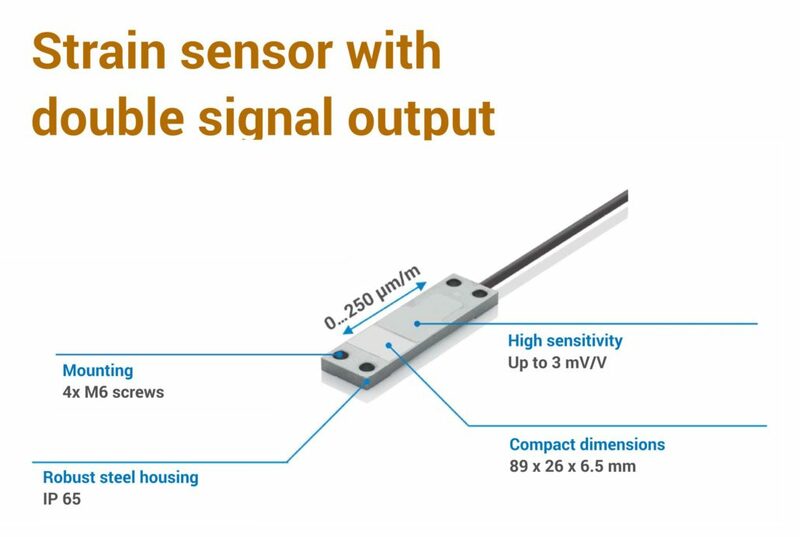 Force measurement with strain sensors: X-Sensors offers a new strain sensor, which has a very high sensitivity of 3 mV/V at a nominal strain of 250 μm/m. Strain sensors are ideal for indirect force measurement at the load-bearing structure of machines and constructions. A particular challenge is to measure smallest deformations on stiff load-bearing frame constructions. X-Sensor has now developed an a new strain sensor with a twice as high signal especially for very stiff structures with only small deformations. The measurement of process forces can be measured directly in the flow of force via loadcells or indirectly by strain transducers attached to the surface of the load-bearing stucture. 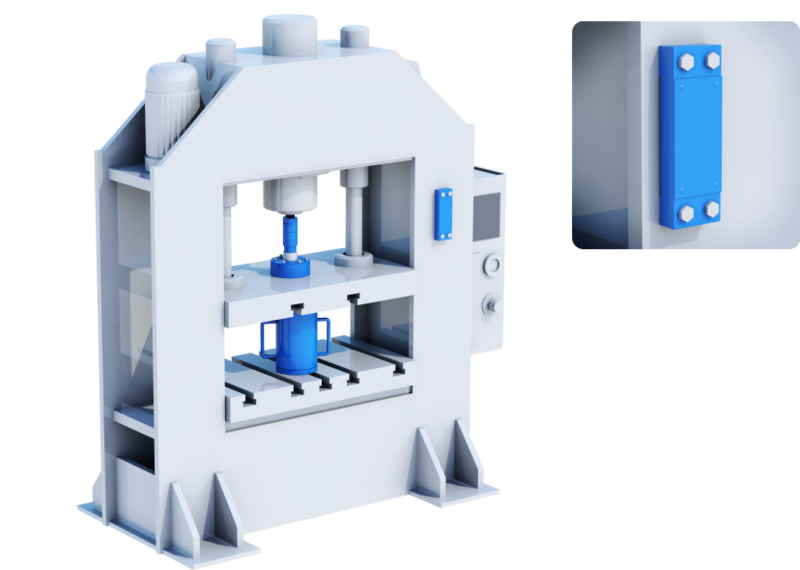 Strain sensors for indirect force measurement have advantages in terms of their compact dimensions and easy retrofitting. In addition, the sensors are immune againgst overload. A major challenge is to measure smallest deformations. This requires very sensitive and accurate strain sensors. X-SENSORS has developed a new strain sensor esspecially for applications with very small deformations which can reliably measure even the smallest strain due to its extremely high sensitivity of 3 mV/V. The sensitivity is twice as high in comparison to conventional strain sensors. At the same time, no compromises have to be done in term of measurement speed, which allows the new strain sensor in dynamic applications. 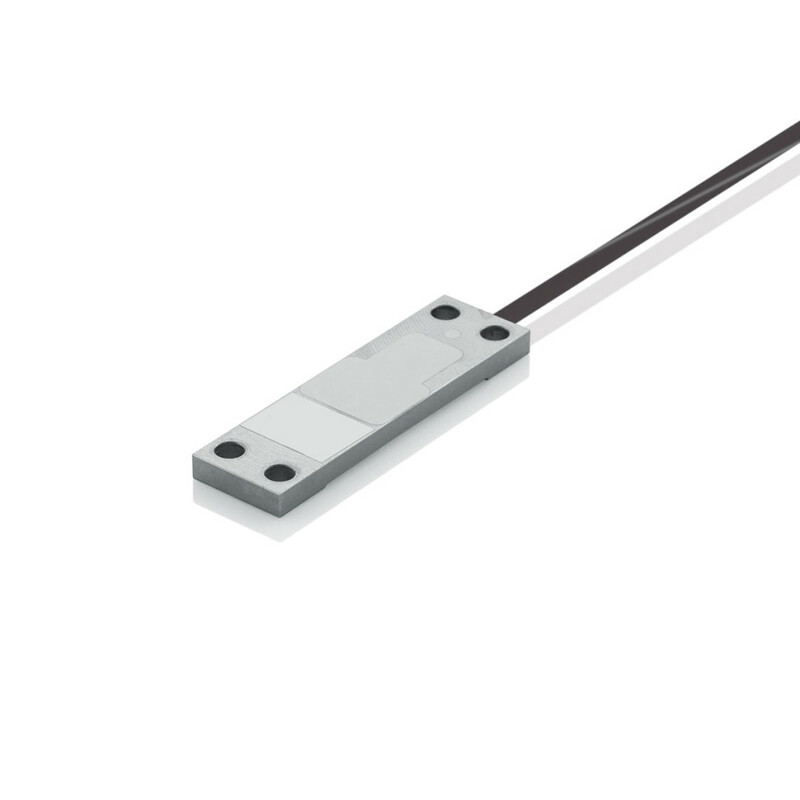 The strain sensor was developed for applications where only a nominal strain of 0 … 30 μm/m is available due to a very rigid structure. This is a measuring range where conventional strain sensors can only achieve an insufficient signal. The graph below shows the high signal output of the X-103-D32 compared to a conventional strain sensor. The blue curve shows the signal output of the X-103-D32 while the red curve shows the signal of a conventional strain sensor. Both measuring curves were measured on the same setup with the same process force. With the new strain transducer from X-Sensors, unprecedented results for indirect force measurement can be achieved. The use of strain sensors are recommended whenever there no direct force measurement can be used for structural reasons. This is the case in limited space or at modernizations.